Mad Creek Books, 9780814254400, 127pp. 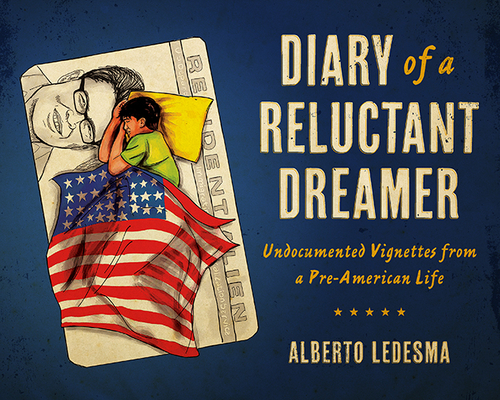 Exploring Ledesma’s experiences from immigrant to student to academic, Diary of a Reluctant Dreamer presents a humorous, gritty, and multilayered portrait of undocumented immigrant life in urban America. Ledesma’s vignettes about life in the midst of ongoing social trauma give voice to a generation that has long been silent about its struggles. Delving into the key moments of cultural transition throughout his childhood and adulthood—police at the back door waiting to deport his family, the ex-girlfriend who threatens to call INS and report him, and the interactions with law enforcement even after he is no longer undocumented—Ledesma, through his art and his words, provides a glimpse into the psychological and philosophical concerns of undocumented immigrant youth who struggle to pinpoint their identity and community. Alberto Ledesma holds a doctorate degree from the University of California, Berkeley, and is Graduate Diversity Director in Arts & Humanities at Berkeley.